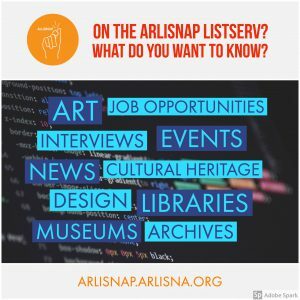 Hello new and seasoned ArLiSNAP members! So we can provide the best content possible, we’re asking you to take a member survey. It typically takes about 5 minutes to complete. This will let us know a little about you, and help us plan content that fits your needs as students and new professionals.